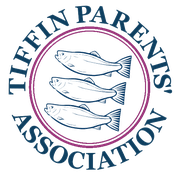 Tiffin Parents Association appreciate any help running events to raise money for the school. - in e-mails to keep you updated of our activities and fundraising. The Tiffin Parents Association is the “controller” for the purposes of data protection law. We keep your personal data secure and we will not share your information with anyone. You can email us at tiffinparents@gmail.com to ask a question about your information or to ask us to remove, correct or stop using your information. You can also ask us to provide you with a copy of the information we hold about you.